I can't believe the obsession I've developed with Pinterest and one night as I was looking through the countless pins I saw this and this. These pins reminded me of my cousin's love for cinnamon rolls. 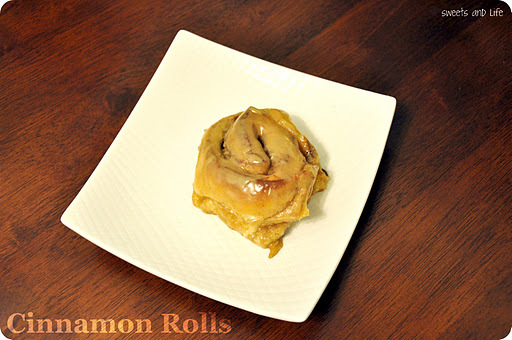 When I lived at my aunts house every so often I would surprise my cousin's with cinnamon rolls for breakfast. I've been wanting to make cinnamon rolls for a few months now and after seeing the pins all around Pinterest I decided that it was time. The problem was that there is countless of recipes out there and I wasn't sure which one to pick. After a couple of hours I decided on the Pioneer Woman's cinnamon rolls. All I have to say is yikes! These may not be like the ones I used to bring home to my cousin's (no pixie dust on them) but they were so yummy.